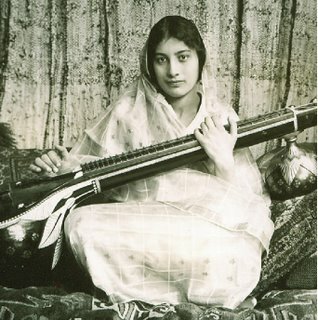 Noor Inayat Khan, ‘Sufi Princess’, daughter of Hazrat Inayat Khan, children’s book author, musician, Allied Spy, died in Dachau at the age of 29. 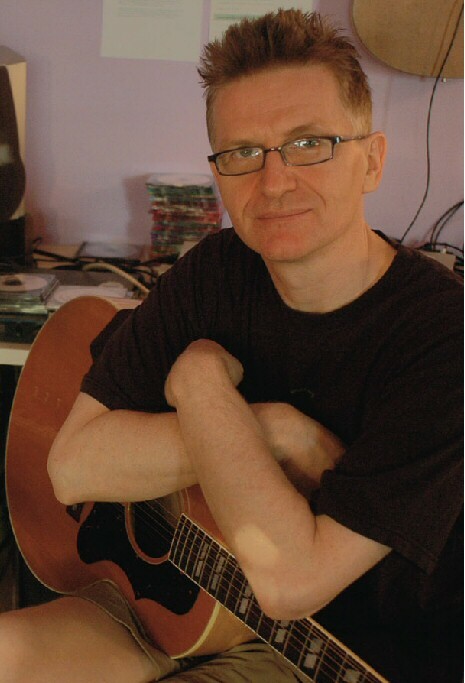 Geoffrey Armes has written and recorded a song cycle inspired by Noor. I recently had the opportunity to discuss this project with Geoffrey. How did you become acquainted with Noor’s life? I was looking through the online edition of “The Independent”, an English Newspaper, and saw a headline about “Sufi Princess, Allied Spy” and it leapt out at me and really grabbed me. It mentioned a biography that had been written about her. I ordered it from the UK because it’s not published over here, and had it sent over. I don’t always do that but I knew that there was something important for me in that story. What attracted you to Noor’s story? Noor was the daughter of Hazrat Inayat Khan, who was a Sufi philosopher who wrote specifically about music as a sort of medium for spiritual work. I was intrigued by the idea that anyone who was a Sufi was involved with WWII directly, let alone dying in Dachau, and then when it was his daughter and I already knew his work…I was just fascinated by that. She grew up in Paris, and went to England when the Nazis occupied France. She had a dilemma as someone who was a pacifist and a Sufi, and at the same time was very aware of overwhelming evil that was threatening to take over the world. These were dark times and I think she felt that it wasn’t enough to sit around - she needed to do something, to take part in the struggle. That was one of the things that attracted me to the story, because I do think we still live in dark times and I think we have the potential of overwhelming evil in the world still. Noor’s story could easily be a story that has to be lived again. And that’s rather frightening. Sure, but it’s always up to us to confront evil and take an active part in being one of the positive forces rather than one of the negative forces in the world. I think so. I think she reached a point where to be the good daughter of a Sufi philosopher and correctly living her life wasn’t enough. She needed to get involved firsthand. Although Noor had a very international upbringing, she had lived in Paris for a long time - it was like her home city. So going back to Paris was almost like going home, struggling for the freedom of her home. How did this go from being a moving book that you connected with to being something that you saw as the basis for some music? I felt it was a subject that was meaty enough and deep enough that I could play with some of my own ideas of life and death in a way that wasn’t completely preachy or overtly religious. I was deeply moved and I started improvising one day and knew I’d get at least one song. It was kind of empathic, asking the question, “How did you cope?” For a while I thought that song, which became the title track, would be the final thing. But I just kept going back and writing more music. Then I got attracted to the idea of a CD called Noor, a suite of songs about the situation that this woman was in. Do the songs present a progression of events in her life? Some of them do refer to particular events in her life. They could have been arranged chronologically, and at one point they were. In the end I arranged the songs in the way that seemed to unfold best musically. The song “Yasmin” is about a specific moment in her life. There was a whole chapter in the book about her going off on her one and really only mission, and the mood of these young women as they went to take this flight. It’s really a moment of no return. We’ve all had these experiences where you know you’re stepping off the abyss and there’s no going back and I think that was such a moment for her. I felt very drained after recording the song “Witness”. It was very painful to do. By the time I finished it, I thought that there was some kind of statement of intent that Noor might have made – that she wanted to get involved. Most people know you as a guitarist, but electric piano is the dominant instrument on Noor. Was there a reason you gravitated towards piano in composing and recording this music? It’s fair to say that the core instrument here is the Wurlitzer electric piano sound. The most recent CDs I did prior to Noor, Spirit Dwelling & Ambient Black, used sounds I always had floating around, instrumental/textural/fourth-world/spacey even new-agey sounds mixed in with Dub and Electronica. For some people that is really the antithesis of acoustic music but for me it isn’t. Those aspects of music had been a part of the past CDs but I felt that the songwriting and vocalizing and poetry had really been neglected since Elemental Red. Noor was a project where I wanted to combine the instrumental stuff with the vocal music and simple songwriting. You played all the instruments, you sang, and you were the producer/engineer. What were the challenges and benefits of recording this all alone? I wrote these songs in a very improvisatory fashion, just laying down tracks. Then, quite spontaneously finding parts where I thought vocals would fit and then putting the vocals down, not in a careless way, but not in a carefully edited manner either. In an expensive studio with an engineer and the clock running, unless you have a huge budget it usually doesn’t afford you that opportunity. Like a Peter Gabriel or a Kate Bush recording, Noor sets up and sustains an engaging aural landscape that really draws you in. I’ve listened to this a few times now and it is an emotional record – especially your vocal performances. It’s very moving. I felt close to her and her story, and quite empathic with her suffering. I was quite admiring of the things she had done, and questioning if I would have the strength to do that if I was called upon in that kind of situation. Well, the CD sounds great. ‘Noor’ is due for a September release so be sure to check out Geoffrey’s website and pick up a copy!